Guest Blogging has been hailed as the holy grail of inbound marketing in recent times. And why shouldn’t it be? Guest blogging helps not only build links but more importantly build relationships with other bloggers, reach your target audience more effectively and of course, gain traffic. So, why exactly is guest blogging so popular? The simple reason is that it’s known to get results (If done right). Here are a few case studies to show exactly how guest blogging can help marketers increase traffic, build relationships & give their content marketing a boost. Joseph’s guest post on Problogger delves deeper into the SEO benefits of guest blogging and talks about how he managed to get 120,000+ visitors with a serious guest blogging strategy. Joseph’s case study proves the most important reason for the popularity of guest blogging as a marketing tactic i.e. an increase in traffic. You can read more about it here. It made SEOmoz’s ‘Best of 2011’ list and was mentioned as one of the top 10 posts by thumbs ups, number of linking root domains, unique visits, tweets and number of comments! Read more about Oli’s insight on guest posting and how he made the most of this hugely successful guest post, here. A guest post on John’s company (Distilled) blog resulted in over 13,000 visits in the first 3 days and over 75 backlinks. Another takeaway from this post is how marketers can even look at accepting guest posts and using the insights of other bloggers to further their content marketing objectives..
You can read more about this case study on John’s blog. While it’s safe to say that Guest Blogging is a marketing tactic that brings great results if done right, many marketers aren’t exactly sure how to begin. With guest blogging, it’s important to remember that there are 2 key areas you need to concentrate on i.e. 1. Define your objectives - Why are you guest blogging? Whether it’s for traffic, links, subscribers or all of them, you need to set your objectives clearly in order to understand what kind of blogs you should target and what your content needs to be about. 2. Build a list of Blogs to target - Building a list of the right blogs to target is a little bit of work but is well worth it. When you’re narrowing down your list of blogs there are a few key things to keep in mind. Make sure the blog is in your niche, is related to it and has an overlapping audience. For instance, If your blog/product is related to SEO then targeting content marketing, search marketing, social media blogs is a good idea. Check for social signals i.e. shares per post, people talking about the articles on social media as well as number AND quality of comments. Analyse ranking factors such as Pagerank and Moz Domain Authority. You should be building links from trusted and reputed domains. 3. Now that you know what to look for, you can use the following methods to find and shortlist the blogs you want to target. Google Search - First things first, use search terms like Best *Your Niche* blogs to find the most influential blogs in your domain. You might come across articles like this one where bloggers curate a list of influential and popular blogs. Search for Influencers in your Domain - Look for influencers in your niche using Topsy or Klout. You can then look for their personal or company blogs and add them to your list. Your own Feed Reader - Which are your favourite blogs? Go through your own feed reader and find the ones you would want to contribute to. This method works well as you will already have an idea about the type of content these blogs publish and their target audience. Sign up for services like MyBlogGuest and BloggerLinkUp - MyBlogGuest and BloggerLinkUp are like marketplaces that connect guest bloggers with blog owners looking for guest posts. These services have been used with great success by influential bloggers like Kristi Hines and Leo Widrich so you should certainly check these out. Look through Blog Directories - Run through blog directories like Technorati, Best of the Web Blogs and Alltop to find more blogs in your category. Once you’ve narrowed your list down to the blogs that do accept guest posts, run a quick check on their ranking factors, social score, level of engagement etc. as I mentioned above. Start building a relationship with the bloggers you’ve shortlisted - Now comes the hard part. Building a relationship with bloggers is easier said than done. Here are some tips to get started on this *very* important part of guest blogging. Share their posts - Share their posts on social media and make sure to give the author as well the blog some credit. Adding some insight you received from the post also shows authenticity. Comment on their blogs - Be an active commenter on their blogs to show that you’re a part of their community too. And by comments I definitely don’t mean the short ‘Hey, great post! 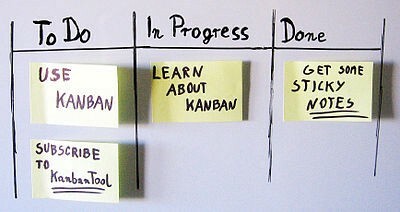 This really helped me’ kind but the more insightful ones where you add value for the author and the other commenters. Even comments where you disagree (Yes, disagree!) with the author are ultimately valuable as they prove that you have your own opinions and are trying to conduct a meaningful discussion. Link to their posts on your blogThe best way to build a relationship with a blogger is to mention their work in one of your posts. Round up posts are great for this sort of thing or even posts where you’re tackling a related topic and link to their posts as reference. Most of all though, be authentic! Bloggers, actually people, respond to authenticity, originality and others that have an opinion. If you do this right, you’ll soon develop a closer relationship with the blogger and be in a position to pitch your blog posts to them. Understand your target blogs’ contentYour next step would be to truly understand what kind of content your target blogs publish. Do you see a lot of list posts or guides? Which posts have been shared the most? Which have the most comments? These answers will help you form an idea about the kind of content you need to create so you can get crackin’! Start creating epic contentStart creating content that you think will be perfect for your target blogs. Having a bank of content will ensure you have a seamless outreach process where you can concentrate on building brilliant content. Guest Blogging Outreach. How can you manage it better? Now that you know which blogs you want to target & have built a relationship with those bloggers, you can start reaching out to them to pitch your awesome guest post! There a couple of keys to great outreach — an straightforward, personal email and an organized process behind it. Imagine this. You’re talking to 6 bloggers at a time and you’re at different stages in all conversations. Maybe you’ve got two conflicting deadlines or you haven’t promoted a post adequately. These are real issues that a great process can solve. So how can you manage guest blogging outreach effectively? 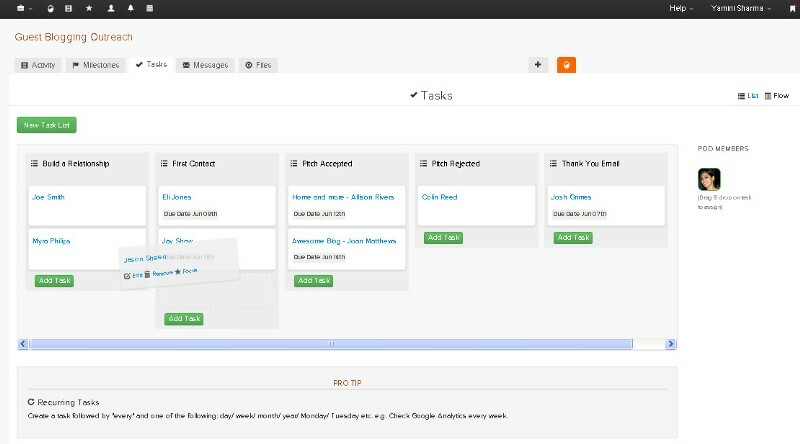 Your Task Management Tool - If you use a task management tool, you can manage your outreach better. It provides accountability, you’re less likely to forget follow-ups or deadlines and it gives an opportunity for the rest of your team to sync up with what you’re doing. At Brightpod, we use our own tool (naturally!) for outreach and I’ve found it to be an immensely easy system. Build a Relationship — Although this is difficult to quantify and put a deadline on, I just add the names here so I know what stage I’m on with a particular blogger. No due dates here. First Contact — I’ve emailed my pitch to the blogger and I’m now waiting for a reply. I usually also attach a copy of the email I’ve sent to the task so I know what worked and what didn’t. Most task management tools allow this and trust me, this is the easiest way to track which of your outreach emails perform the best. Pitch Accepted — Pretty self explanatory. Thank You Email — This is to make sure I follow up with a great thank you email once the post has been delivered. Excel Template - If you don’t use a tool like Brightpod, you can also rely on good ol’ excel to keep track of your outreach efforts. Much like my example above, You can have similar stages and religiously fill them in to make sure you’re always a step ahead. 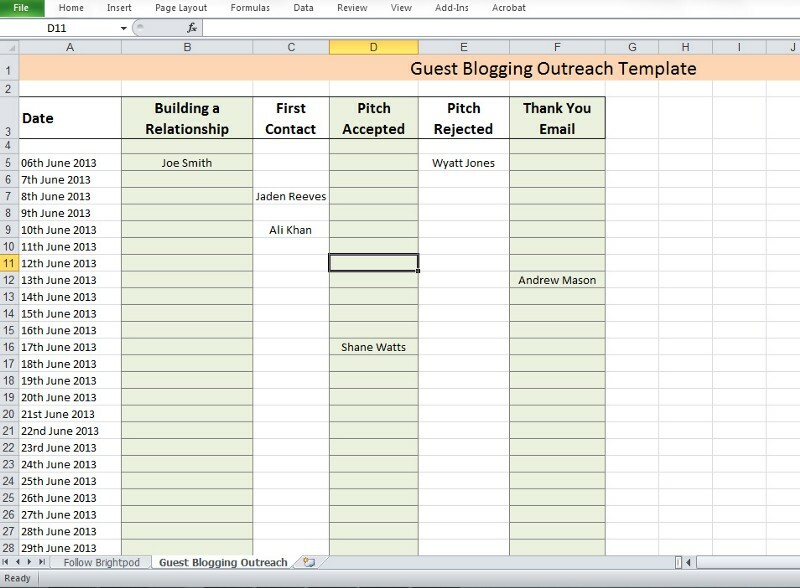 In fact, to help you get started right away, here’s a ready-made guest blogging outreach template you can use. 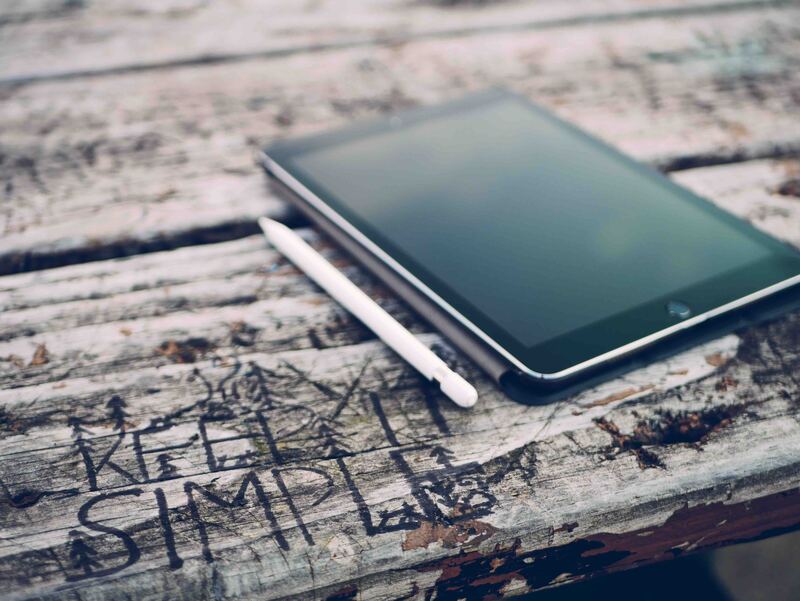 Content Creation — How can you manage it better? Now that you have a handle on how to manage your outreach, let’s talk a little bit about managing your content creation. If you’ve done some solid outreach to the bloggers you shortlisted earlier, you should have a nice little list of blog posts to submit. Whether or not you create a bank of content or choose to push out posts as your pitches are accepted, using an editorial calendar is a must to keep up with your deadlines and deliver top notch content every time. Wordpress Editorial Calendar Plugins - Most bloggers I know blog on Wordpress and are extremely comfortable with it. Wordpress plugins for editorial calendars are a great fit for such bloggers as they seamlessly integrate into the wordpress experience and are actually a great way to manage content marketing and blogging. Use an Editorial Calendar Excel Template - A Google search for ‘Editorial Calendar Excel Template’ returns 3,110,000 results so it’s no surprise that marketers all around the world rely on excel to manage their content marketing. 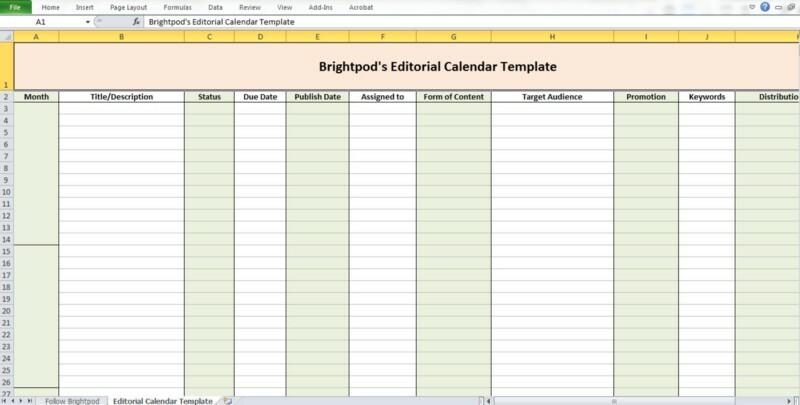 To get started right away, you can download our free Editorial Calendar Template. Brightpod’s Editorial Calendar - We recently launched our own editorial calendar in Brightpod (The amazingly simple task management & collaboration tool for marketing teams). It’s our first version and we have a lot of updates planned over the coming weeks. Give its a spin by signing up for a free 30 day trial here. So there you have it, marketers — your go-to guide for guest blogging the right way!